This is one of the reasons i bought this car. Thats the original mileage. The light for high beam is what you see above the 50mph mark. If you saw the condition of the rest of the car, particularly the interior, you would have no doubt that it is original. It still had one of it's original Dunlop B90 cross ply tyres in the back. It's only part worn & it's available. Dman, whats the thing above the 50mph? a light for sumthing? 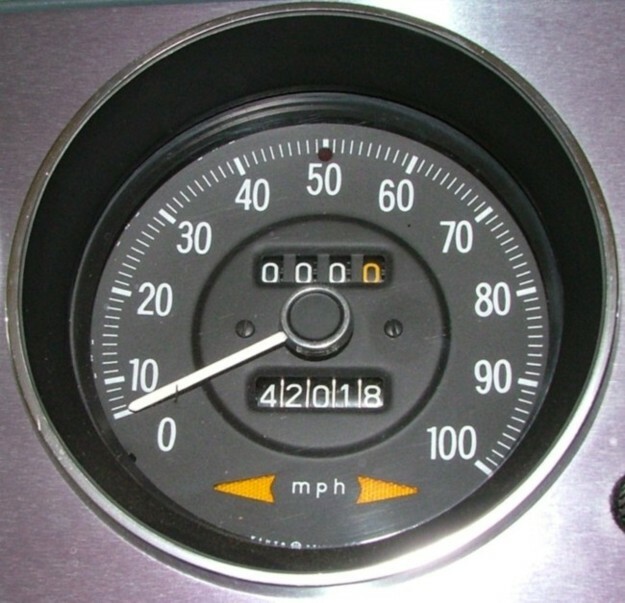 are you confident that the milage clock never ticked over or you know for sure? P.S your postage rate is scary! that many posts in under a year! Beware rallycar!